You are here >> Clothing >> Boots & Shoes >> NRS HydroSkin Sock. 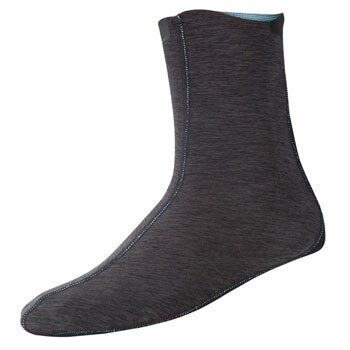 Protect your feet and keep them warm without the bulk of other wetsocks. 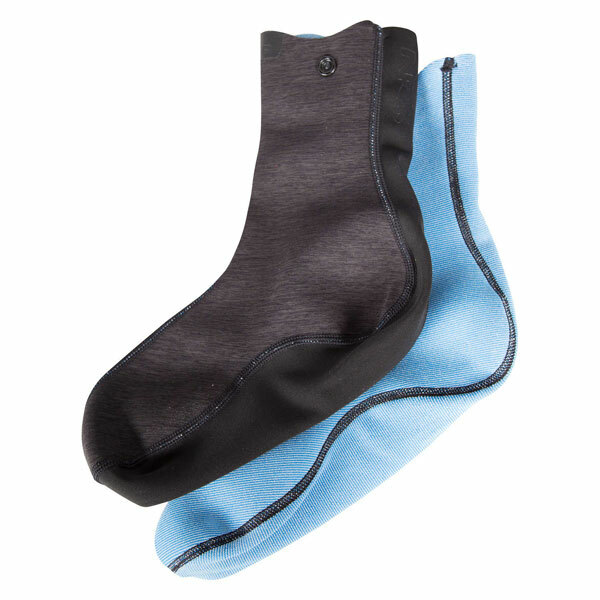 NRS HydroSkin® Socks are the ultimate wetshoe liner. The NRS HydroSkin Socks are ideal for a layer under your wetshoes for an extra layer of foot warmth without a lot of extra bulk. The HydroSkin sock is made from a Terraprene material that insulates and protects your foot from cold water. The PowerSpan outer layer provides a four-way stretch for enhanced mobility and durability, and a DWR coating sheds water off the sock to help keep it dry. 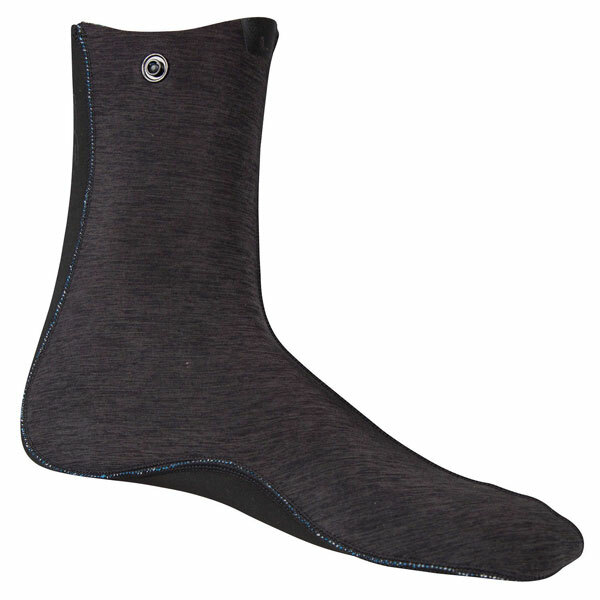 The ThermalPlush lining on the NRS HydroSkin sock increases insulation, repels your foot's moisture, and dries quickly to keep you comfy, and NRS added a titanium laminate to reflect your own body temperature back for even more warmth. 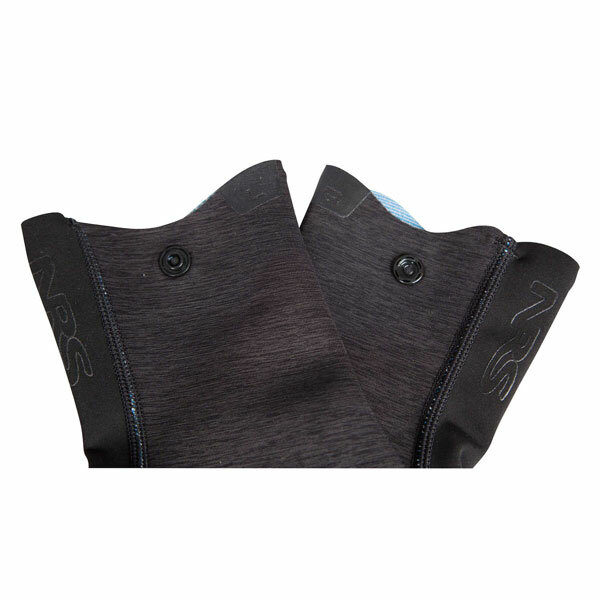 The NRS HydroSkin Sock is great for canoeing, kayaking, waterskiing & wakeboarding. The 0.5 mm neoprene core insulates and protect. 4-way-stretch PowerSpan™ outer layer gives you enhanced mobility and greater durability. The ThermalPlush™ inner lining increases insulation, repels moisture and dries quickly. Titanium laminate adhesive aids body heat retention without adding bulk. DWR coating forces water to "bead" and roll off the material, reduces evaporative cooling. Great for canoeing, kayaking, watersking & wakeboarding. 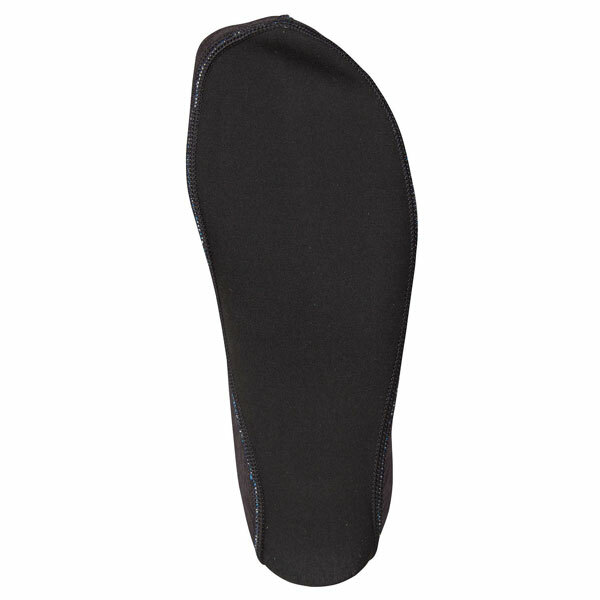 Anatomically shaped left and right feet offer superior fit and unmatched comfort while eliminating the guessing game. Pairing snaps help prevent you from hitting the river with only one sock. 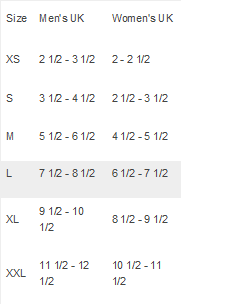 Size: XS, S, M, L & XL.